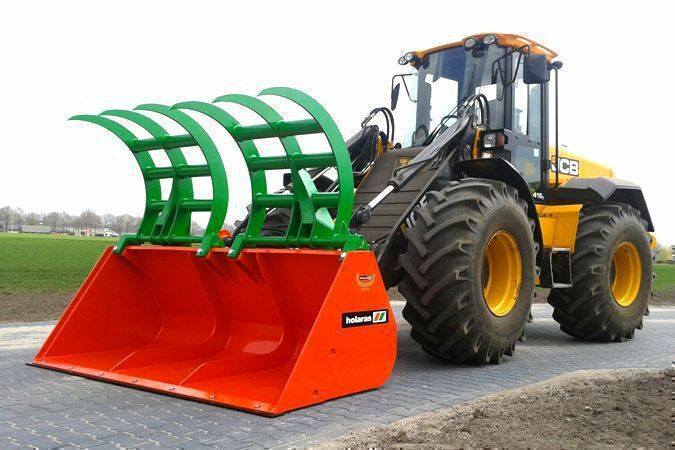 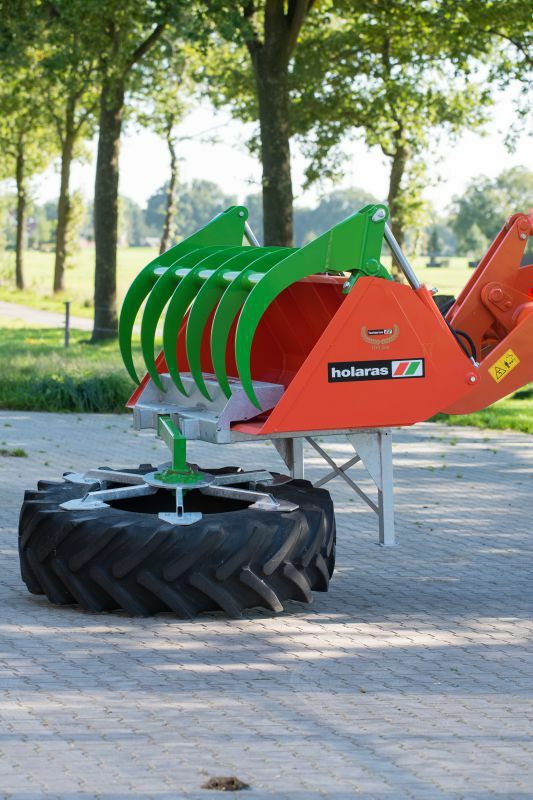 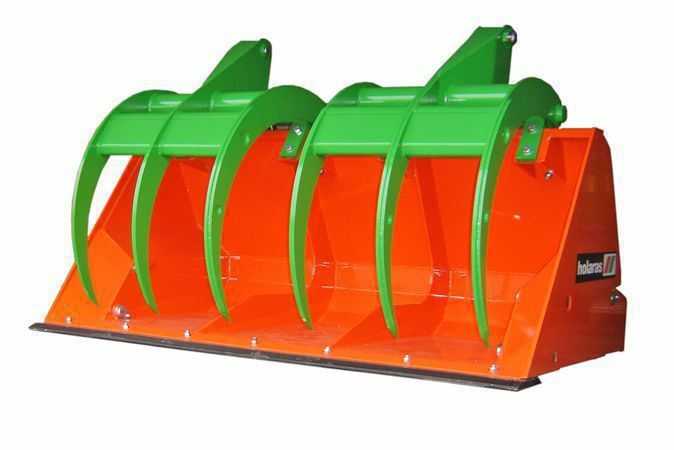 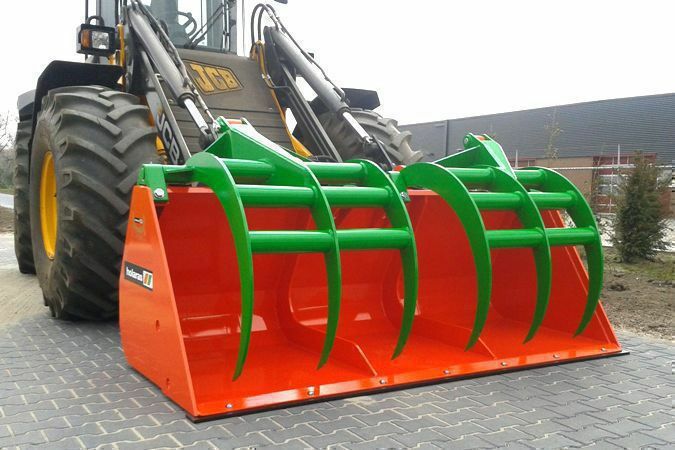 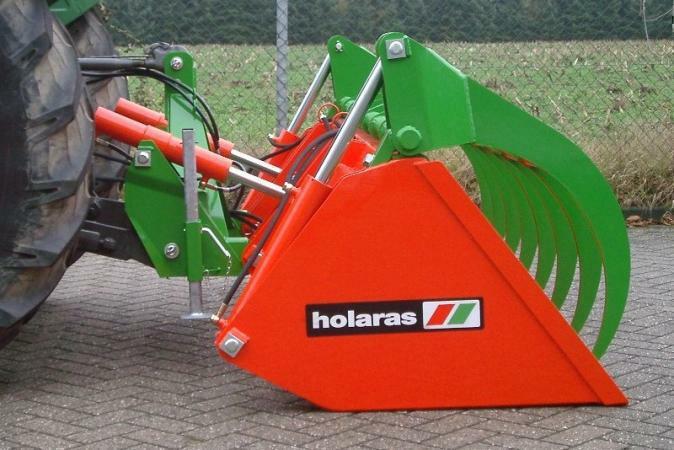 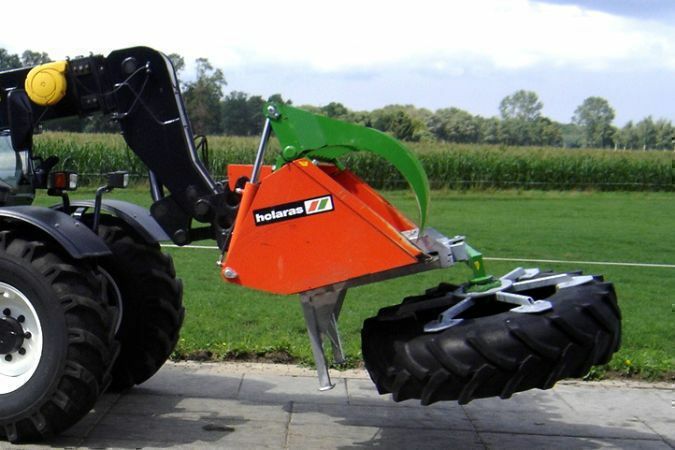 The Holaras Kroko Powergrab was designed on the basis of a shovel ground bucket. 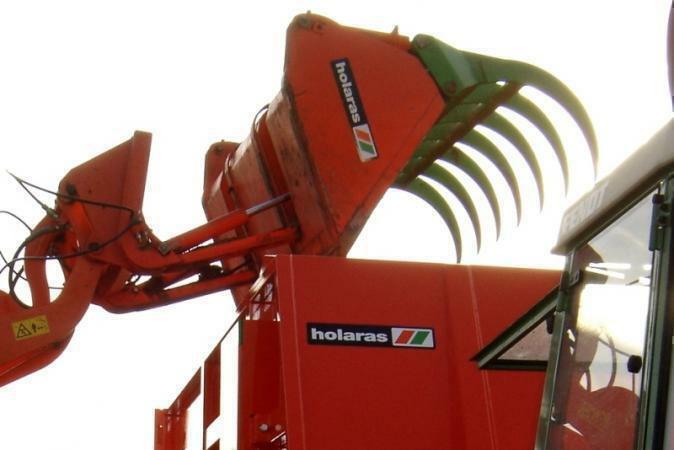 The machine is equally suitable for scooping up forage potatoes, beetroots, concentrates and other loose feeds. 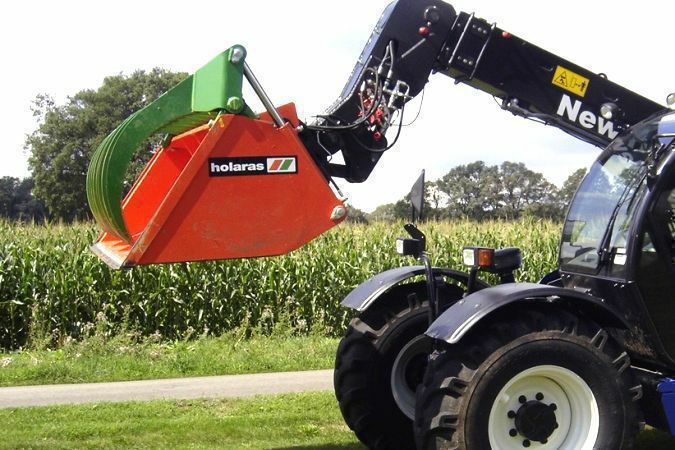 This power grab is equipped with two double action cylinders and can be fitted with two special tipping cylinders, which allow the grab to tip 90° at lifting height (DK system). 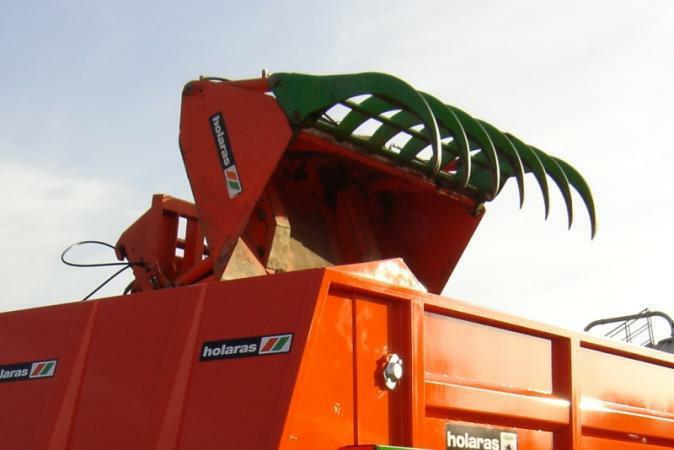 The Holaras KROKO is the ideal machine for transport and load: grass silage, maize, peelings, corn cob mix, wet brewer’s grain, round bales, straw bales. 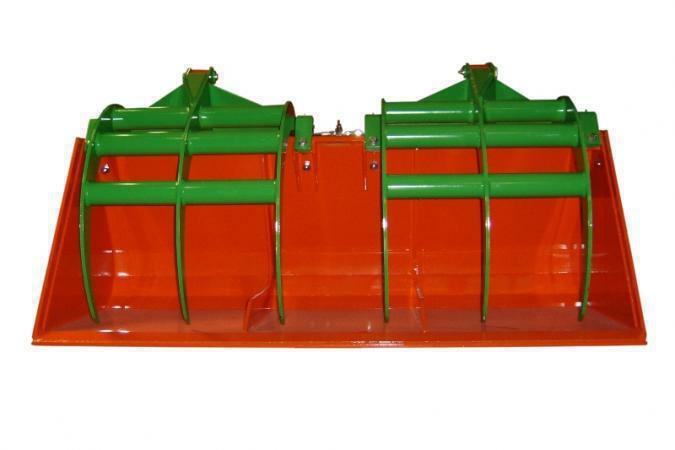 The bucket’s sides, back and inner walls have manganese steel strips for strength. 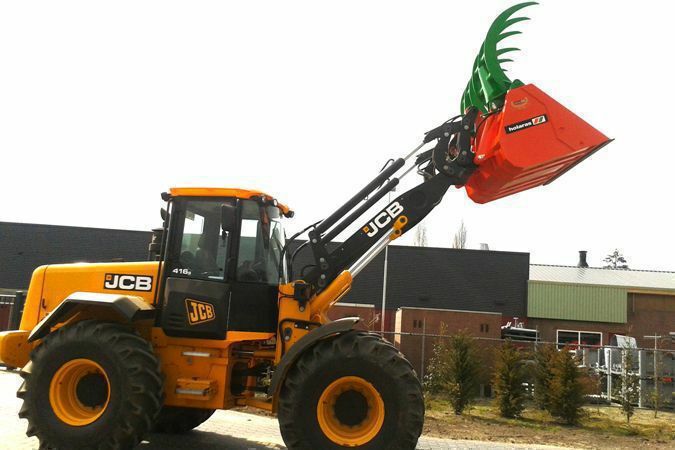 At the top of the grab’s bucket six or more tines were fitted which make a curved movement when handling the power grab. 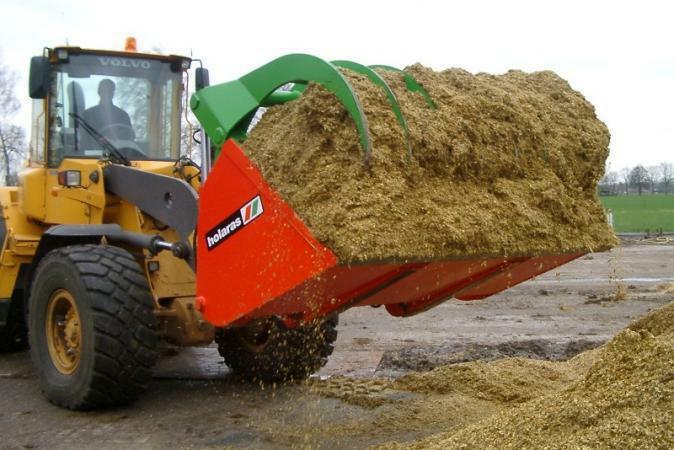 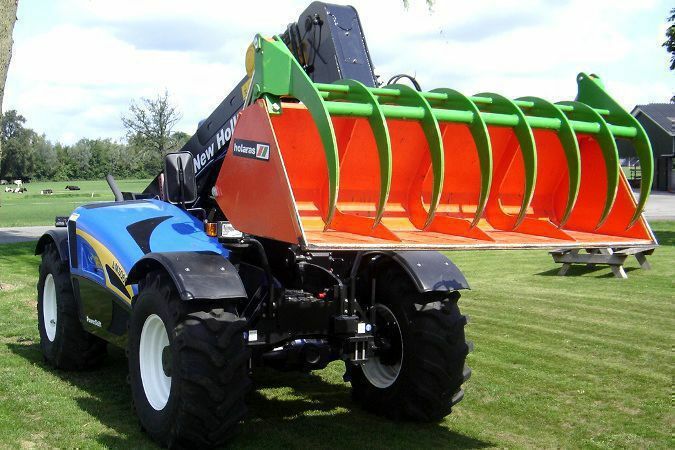 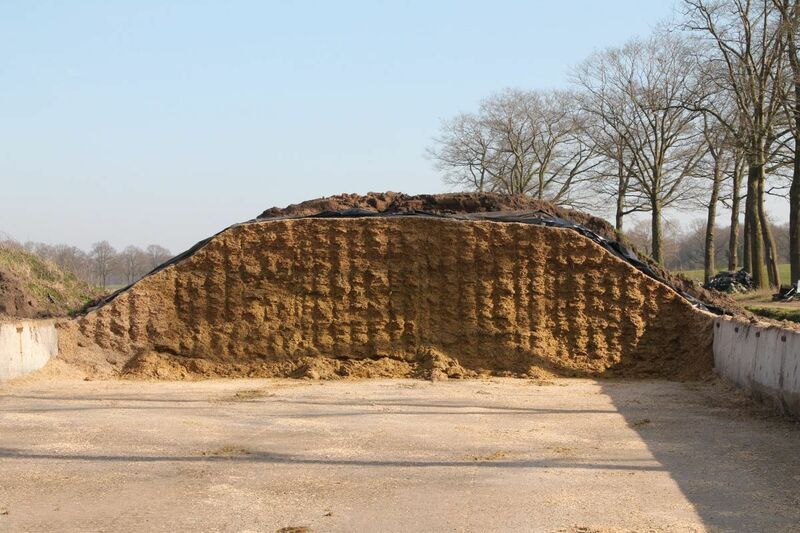 This ensures grass silage, maize, peelings, corn cob mix, wet brewer’s grain, round bales, straw bales and so on can easily be grabbed from the clamp, transported and loaded. 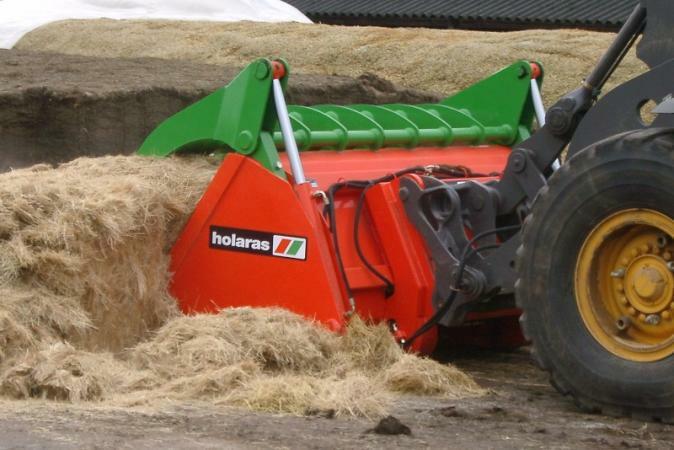 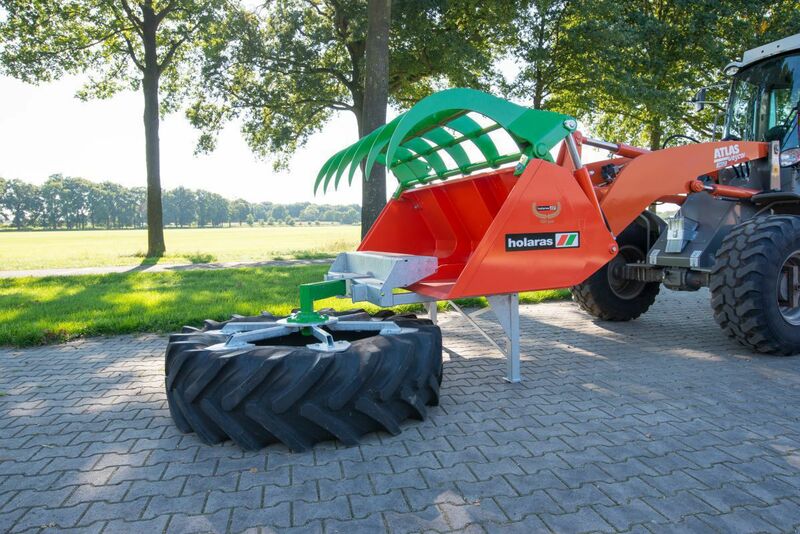 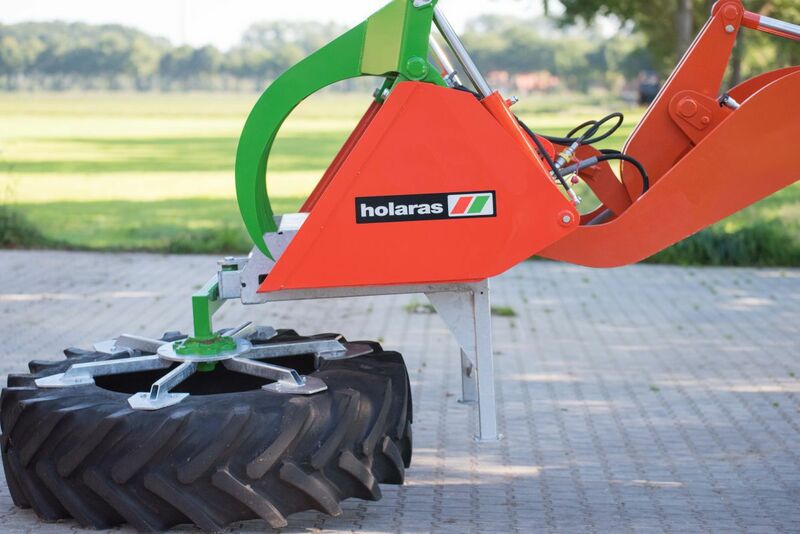 The Holaras powergrab can also be fitted with the Holaras feed sweeping wheel, model Octo 1500-K.